It's Saturday! That means it is time to celebrate another Newbery Medal winner. Head on over to Colby's blog to watch his video. Mr. Travis Jonker is giving every Newbery Medal winner a new cover. He designed the one on the right. Nice work, Travis! 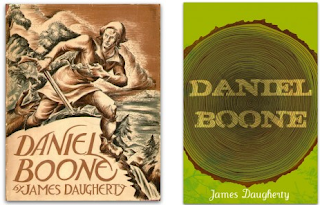 See if your public library owns Daniel Boone. Just now getting to watch your sensational video! I am ridiculously excited that you mentioned me in it. 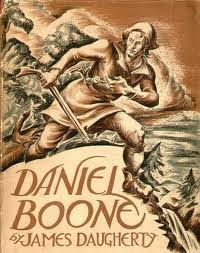 I actually paid a good bit of money ordering Daniel Boone online (My library weeded it a while ago too). 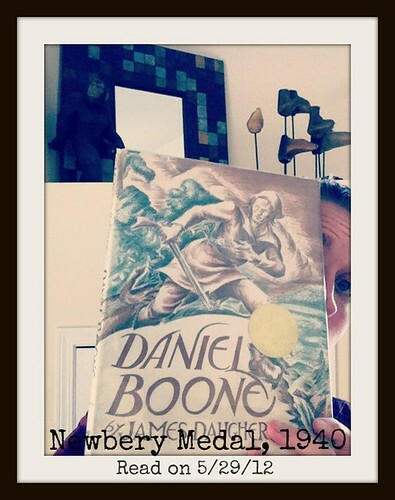 Once upon a time, I wanted to not only read all of the Newbery winners but OWN them as well. This was when I was first starting out reading the Newberys and before I realized that many of them are AWFUL (and I don't really want to own them after all). Anyway, that is the sordid story of how I came into contact with the horrible Daniel Boone. I hope you will be able to find some use for it or pass it on to somebody else doing #Nerdbery. Your #bookaday books look fabulous! I have many of them on my list as well; not sure how many I will get to, though. Summer is the busy time for us public library people. You and Colby are so restrained. Is this because your students are watching the reviews? 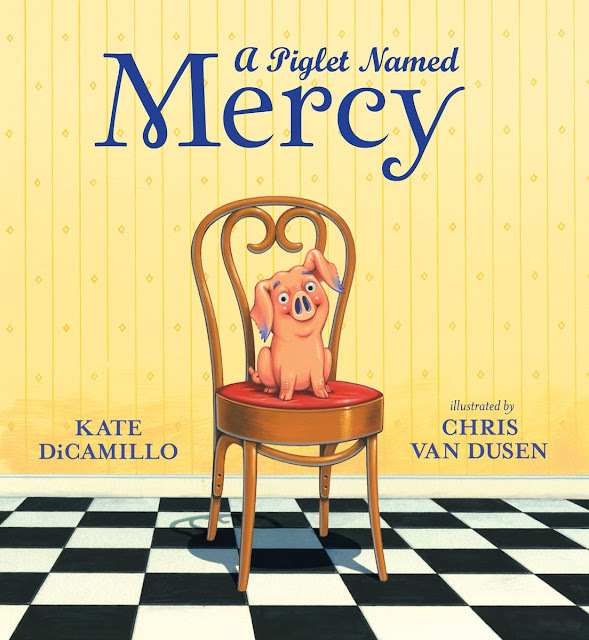 I confess to going off on quite a rant when I read this for The Newbery Project blog a few years ago. It's the only book I've read that I wanted the library to pull from its (children's!) shelves.